Endgame is quite the finale to Marvel Comics’ Avengers series. The creators (Anthony and Joe Russo, directors) manage to reprise almost all the roles in previous films, and there are reunions as touching and significant as the beginning of this last season of HBO’s “Game of Thrones.” The film starts with an eerie reminder of Thanos’ (Brolin) intentions in Infinity Wars (to destroy half the people on earth to deal with over-population) by showing Hawkeye (Renner) training a young woman in shooting arrows while his wife calls on family members for a picnic lunch. Suddenly, everyone but Hawkeye disappears. Five years later, some of the Avengers are congregating to come up with a solution. But part of the problem is that some have become content; for instance, Tony Stark (Downey) is basking in family life with Pepper Potts (Paltrow) and their young daughter Morgan. When some of the others—specifically Banner/Hulk (Ruffalo)—think they have the solution: A time machine that will take them back to the time before Thanos stole the stones, retrieve them, and use them to get back the people destroyed and create a different world. They have a difficult time rousing Stark/Iron Man from his contentment and risk losing those he holds most dear; but, of course, the whiff of a challenge and an adventure reels him in. From then on, a full contingent of the Avengers [Iron Man, Hulk, Captain America (Evans), Thor (Hemsworth), Black Widow (Johansson), Ant-Man (Rudd), and Hawkeye] test and use their knowledge of time travel to reverse Thanos’ delusional plan. They are indeed able to travel back in time, but it won’t be as simple as they expect. There will be many reunions, but the Avengers will encounter some of the same challenges they thought were over. The special effects for time travel will be a highlight of this story. The viewer experiences just exactly what we imagine it would be like if we were so privileged. Then, when you get to what looks like the last big battle (and it goes go on and on), don’t settle back in your chair or get ready to leave; much more is coming to create a satisfying conclusion in terms of closure—not necessarily satisfaction with what does occur. 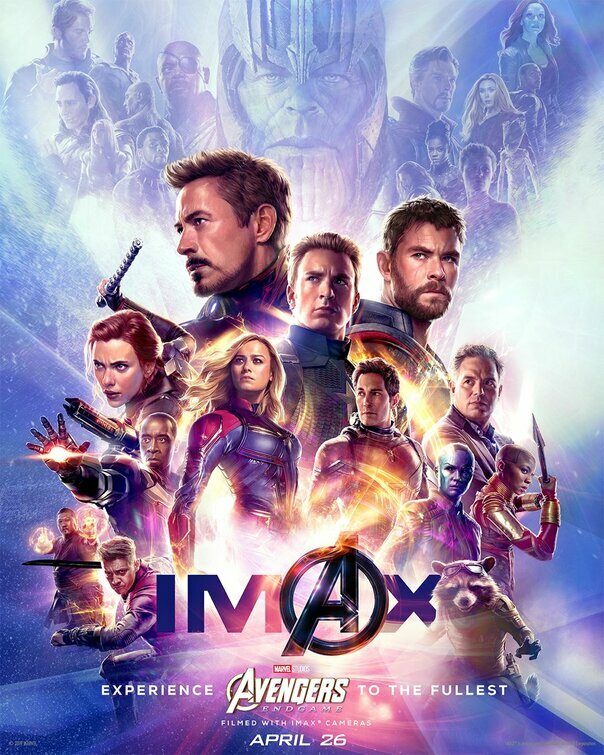 As with most Marvel Comics movies, this one is overly long, bloated by the obligatory fight scene toward the end, and of course a fistfight scene is required as always. But in its favor, the story is exciting and suspenseful; the special effects outstanding; and the humor almost always really funny. Also, women have stronger roles than in the past. Endgame is a worthy conclusion to the Avengers series. 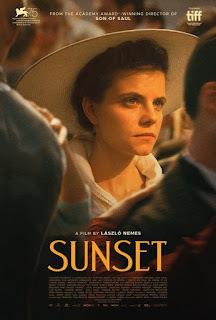 This period drama set in Hungary just before World War I contains no discernable plot, although it continuously gives the viewer the sense that something really big is going on or about to happen. The protagonist Irisz (Jakab) has returned to Budapest to her parents’ old hat shop (actually, a high-end millinery), but she is not a welcome presence, and the current owner Mr. Brill (Ivanov) not only refuses to hire her, but tries to get her to leave. In fact, many of the characters (whom we’re never made privy to just who they are) urge her to leave. Undeterred, Irisz persists in being the detective who discovers what mysterious things are going on and who is responsible. She is shoved around, attacked, and warned over and over, takes considerable risks—especially toward the end—but, viewer, don’t look for a satisfying ending in which everything will become clear. Cinematography by Matyas Erdely is elegant, with fancy camera work throughout, which compensates somewhat for the weakness in storyline. Music by Laszlo Melis is likewise beautiful and reflective of the period. Although Juli Jakab is onscreen virtually all the time, her character is not intended to be expressive, so we primarily see her looking, wandering around, and asking curt questions (“Have you seen Mr. Leiter?”), which no one ever seems to answer directly, and instead try to shut her up. Although director Laslo Nemes’ previous film, Son of Saul, was so well received it won an Oscar, it also had some of the characteristics as Sunset; i.e., the viewer is expected to infer plot details from minimal information. But it wasn’t quite as opaque as this production. Nemes seems to prefer an impressionist approach to filmmaking, expecting the viewer to supply structure and details to the story. So he shows us an impressionist painting of Irisz, but we’re not told much about who she is, where she came from, and what she is about. Yes, we realize she wants to find out more about her family in her quest for identity, but we’re never shown the motivation behind it. For these reasons, I regard Nemes as a purposefully withholding filmmaker, although others might better appreciate his subtlety. Impressionistic in plot, high on camera aesthetics—an art house film that leaves the viewer hungry. Isle of Wight farm girl meets the British entertainment industry in a singing competition…and you can just about fill in the blanks from there. Elle Fanning as Violet looks like she belongs on the farm with her animals and her mother (Grochowska); she works part-time at an eatery, and sings at a local bar on the weekends. She hears about the competition from friends at school, and decides to enter. She’s young, though, and has to have a guardian sign for her when she is allowed to go to the second stage. Her mother is not exactly enthusiastic about her singing, so Violet asks a fan at her night gig if he will vouch for her. He has given her a lift home one evening when she was skittish about taking the bus. It turns out that Vlad (Zlatko) is a former opera star and immediately starts negotiating to be her manager, promising he can also coach her in singing. As to be expected, she nods OK, and focuses primarily on her current need for a “guardian.” He will be helpful in her singing; she had been told at the first of the three auditions that, “You have a nice voice, but you need to work on everything else.” He coaches her on breathing and other exercises, and she diligently practices. The set-up for the story turns out to be the most interesting aspect of a film that later spins into the predictable. Teen Spirit has other factors of strength, however. In one of his first directing endeavors, Max Minghella, an actor, shows promise in his keen eye, pacing, and dramatic flair. Greatly enhancing his efforts, Cam McLauchlin’s artistic editing provides a wealth of background information, peripheral action going on in scenes, and a full picture of a particular performance, all while focusing on the primary action. Much of this begins with Autumn Durald’s imaginative cinematography with its striking shots and elaborate “footwork.” This is about music, and Marius De Vries (with previous works including La La Land and Moulin Rouge) comes through with evocative songs and instrumental music. Elle Fanning is well regarded for her work in Super 8, Ginger & Rosa,The Boxtrolls, and Maleficient. She shows her talent here too, with singing (as in Boxtrolls) as an additional bonus. Her acting range is highlighted in this film as a simple farm girl who loves her horse, has conflicts with her mother, bonds with a grandfatherly mentor, has aspirations that spur her on, and knocks it out of the park in her singing auditions/competitions. She's a great singer. 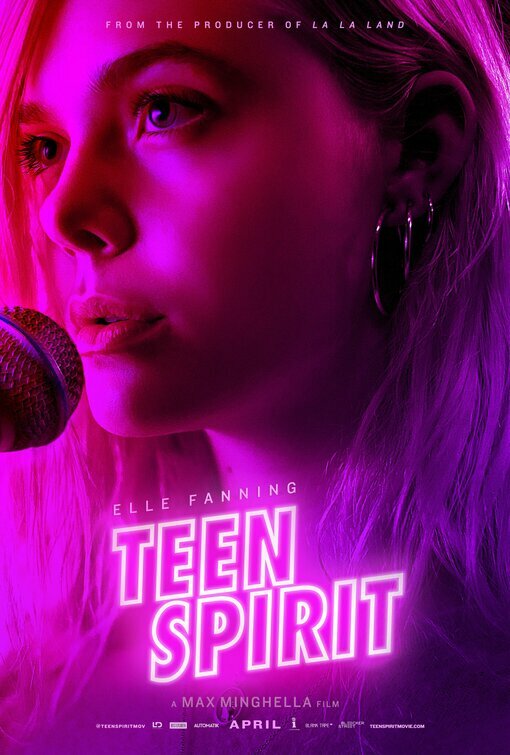 Despite all these strengths, Teen Spirit’s screenplay by Minghella seems to me to be its weakest link, simply because not much that is truly creative is added to a well-known story. This is a story that begins with promise, but devolves into the expected, despite a considerable amount of talent in the overall production. 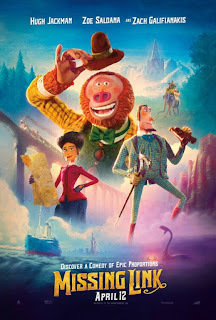 Laika Entertainment Production Company is developing a notable reputation for its production design and animation that enliven well-conceived stories and get the viewers’ rapt attention. Writer/director Chris Butler (Kubo and the Two Strings, Coraline, ParaNorman) and production designer Lou Romano wow us again with artistically drawn images and sets and with a tale full of suspense and adventure (along with some chuckles—e.g., the panicked call that “The people we don’t want here are leaving!”). Sir Lionel Frost (Jackman) is trying valiantly to achieve a reputation as an adventurer and discoverer of anthropological links heretofore (late 19thCentury) unknown. He has received some recognition, but wants the London scientific society to endorse him. Well, Lord Piggot-Dunceb, head of the society is trying desperately to hold onto the old, standard ways—e.g., that man descended only from great statesmen (not apes, for goodness sakes! ), and none of this includes women, etc. But Frost gets Lord Piggot to agree to a bet, that he can prove the existence of an entirely new evolutionary branch, after which he will be accepted into the Society. From there, we accompany Frost on a series of adventures—finding the “missing link” in Washington State [an enormous being (Galifianakis) that measures up to Frost’s exact measurements], locating the map to the Himalayan Yetis where “Mr. Link” thinks his ancestors reside—and fulfilling Mr. Link’s desires to rejoin who he thinks are his ancestors. But a number of obstacles will stand in the way. First of all, they have to find the map of Sir Frost’s and his previous colleague, Aldous Fortnight’s, joint exploration into the Himalayas looking for the Yetis. This brings him into a confrontation with Aldous’s widow, Adelina. She’s not disposed to Sir Frost because of their prior association, and refuses to give him the map at first. Then, when he steals it, she decides she could be useful in the effort and insists on joining the party. To add to the intrigue, Lord Piggot has hired a nefarious character, Stenk (Olyphant) to get rid of Foster by any means possible. He appears and reappears throughout the adventurers’ pursuits, on the scene to the very end, trying to do away with Frost. The most spectacular and tense scenes come at the end when characters are hanging onto ropes and pickaxes to save themselves. The story makes good points in exposing the sometimes underbelly of scientific research—self-serving pride and recognition, exploitation of subjects studied and lack of concern/respect for them. It pays homage to women who follow men, but have the fortitude ultimately to pursue their own interests. Most notably, it avoided the obvious pull for a romantic relationship, an expected and tired trope. A beautifully told story about dedication, commitment, and good will. Little follows the premise that traits you had as a child follow you into adulthood. I don’t know exactly why the filmmakers (writers/director Tina Gordon and Tracy Oliver) came to the conclusion that we needed a black version of Freaky Friday, because, as said in the trailer, “We don’t have time for that.” Yet, here we are with another adult-child transformation as a means of promoting insight in an adult who has become narcissistic and demanding. Jordan Sanders (Hall) has become a successful businesswoman after suffering humiliations as a teenager. She thinks she has succeeded by devaluing everyone around her, even those who clearly care about her—especially her loyal assistant April (Rae)—so that she always ends up on top. In a clever twist of fate, she encounters a young “magician” (Taylor) who, after Jordan is rude to her, dismissing her as a child (e.g., nonsignificant), waves her wand and proclaims that Jordan will be little again. Which actually does happen at a critical time in Jordan’s company when its major sponsor is threatening to withdraw. It throws the company into chaos—now in April’s hands to restore, since Jordan is reduced to being a child and must attend school. We see April diffidently taking up the reins, Jordan trying to guide her as a child behind the scenes (literally, in her ear). This becomes one of the best depictions in a movie of a talented assistant desperately trying to function as a prototype of a boss rather than using her own voice. The film resolves all the troublesome situations in a fairly typical way, with those who need it developing insight and those deserving recognition getting it—all with a few laughs about human foibles along the way. 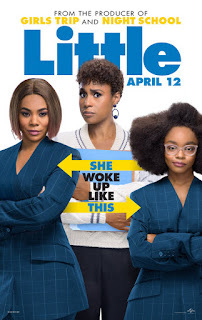 The stars Regina Hall and Issa Rae are outstanding in this production. Your eyes are on them the whole time, not just in what they are saying, but their capturing your complete attention. They are the movie. It seems to me that the writing is simply not up to their star power. It’s a script that hits the bases, but doesn’t inspire or amaze. The stars are the reason to see this film. A little boy at the carnival is disappointed because his mother didn’t win the toy he wanted, but is reassured by her giving him what she did win—a compass—“that way you can always find your way home”, she says, which brings a smile to his face. But they are in crowds and he drops the compass, running after it when people kick it along. Finally, he retrieves it, only to find that he has lost his mother. Billy (Angel as the child) is smart, inventive, and a bit impish, which results in his being shunted from one foster home to another after his mother is never found. When he’s a pre-teen he pulls a trick on some police officers, and is given a final chance at one more home, which, at first, he’s not about to regard it as such. But as it turns out, it’s run by a loving couple who’ve taken in four other children, all with certain quirks freely tolerated by the Vasquezes. Freddie (Grazer), a fast talker, reaches out to Billy who, of course, is ambivalent and rejecting, but Freddie doesn’t give up, and finally wins him over. Another character we meet early on is Thaddeus Sivana (the younger played by Pugiotto), whose father and older brother belittle him as a sissy and a coward, figuring he will never amount to anything. But Thad sometimes has visionary experiences, which he would like to tell them about, but they simply show impatience and blame him for a serious car accident. He does grow up to be some kind of scientist (played as a grown-up by Strong) with a continuing burning interest in the dark arts. The screenplay by Henry Gayden and David F. Sandberg’s direction artfully weave these characters and their stories together in ways that capture the viewer’s interest and suspense, aided by impressive special effects. Comedy is skillfully inserted, particularly when Billy begins to recognize special powers that seem to have appeared out of the blue, and when his foster brothers and sisters come out with charming observations and logic. 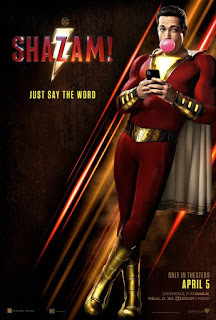 The film is at least a half-hour too long, with battles between Sivana and Billy/Shazam becoming tedious eventually. But it has redeeming qualities, such as childhood traumas being linked to adult issues, the demonstration of tolerance for individual differences shown by the Vasquez couple and their encouragement of individual strengths, and the fundamental theme of what is involved in being mature and responsible as an adult. 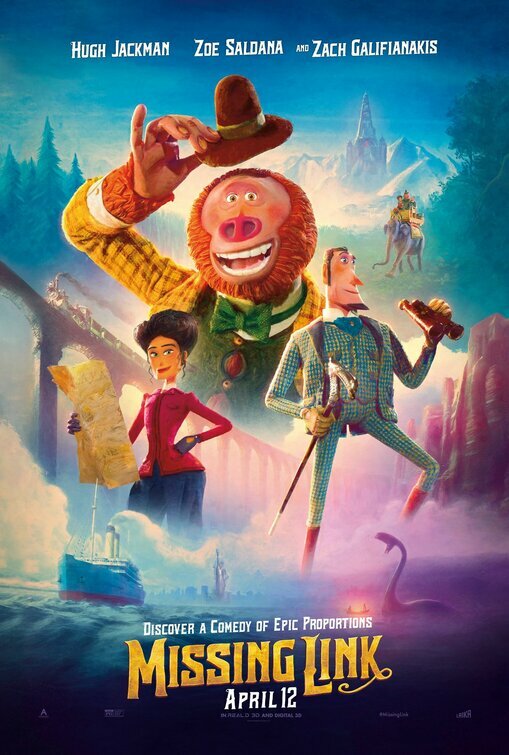 On the whole, I think the film is worthwhile for children to see, with its entertainment value, thrills, and comedy; and adults should find enough to be of interest and provoke thinking about the issues presented. Children might take heart in the idea that they possess special powers that just need to be developed, and that tolerance for individual differences and strengths is something to be appreciated and valued. I’m not sure how good it is for children to witness certain scenes in the story between children and their families that include child abandonment (kids won’t be able to grasp the reasons for it) and vengeance wreaked by an adult child venting his spleen. Both of these elements could have been eliminated without weakening the story. The main actors—Levi, Strong, and and Angel—give strong performances, and delightful Faithe Herman is refreshingly funny and endearing. 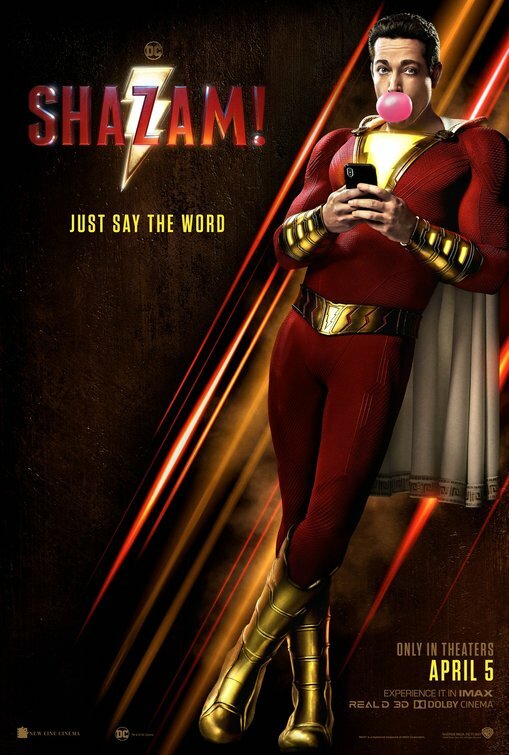 Although too long, this origin story of Shazam! is entertaining and fun. It’s 1971 in Durham, North Carolina, where segregation is still de rigeur. C. P. Ellis (Rockwell) owns a thriving gas station where all the customers are lily white and, by the way, he is president of the local KKK. But he is a good man, devoted to his wife, teenage daughter, and young son with Down’s Syndrome who lives in a psychiatric facility. It’s just that he’s been taught that the races don’t mix and that blacks are inferior to whites. There is a black activist in town, cheeky Ann Atwater, who clashes from time to time with Ellis and city council members at town meetings in her advocacy for blacks. It seems like there will never be a meeting of the minds, but then a fire destroys a school in town—one that only blacks attend. In discussions about what to do until the school is repaired, one proposal is that the black students attend a white school. This is the makings of a disaster when a black facilitator arrives on the scene. That’s Bill Riddick (Ceesay), a diplomat par excellence, although it’s certainly not his title. He has been sent by the NAACP to work out a solution. At this point, the drama unfolds with crises, penetrating insights, and touching moments. The story as a whole graphically and poignantly illustrates how human beings negotiate their conflicts and their lives in general. It shows the unexpected, touching ways that individuals connect and help one another, along with the devious and even savage ways some will try to sabotage and punish even people they are close to on the basis of a religiously held belief. Director Robin Bissell concludes this sometimes disturbing, sometimes inspiring story with rays of hope for the future. The two main actors are phenomenal in their accomplishments playing such diverse characters. I first became aware of Henson when she was a plump, honest and sincere, and clever cop on television’s “Person of Interest”, but she really came into her own in Hidden Figures and the TV series “Empire.” Here, she slips into an overweight, committed activist with a heart. 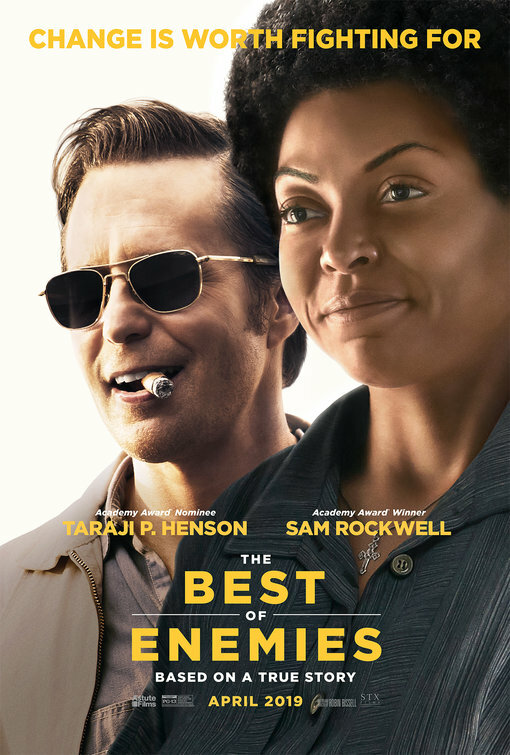 Rockwell is a similar chameleon, a jokester training a shy teen at a fun park (The Way Way Back), a policeman with mother issues (Three Billboards outside Ebbing, Missouri), and a former U.S. President (Vice) who can still pull off being a KKK president torn between conflicting values he has grown up with. A big plus for the film is his explanation about what the KKK meant to him initially, and how he has come to question it. Above all, this film demonstrates how people coming together and talking honestly with one another is probably one of the most revolutionary activities we ever experience. My hope is that millions of people will view this movie and vicariously experience its benefits. A most unlikely of friendships makes this film a winner.